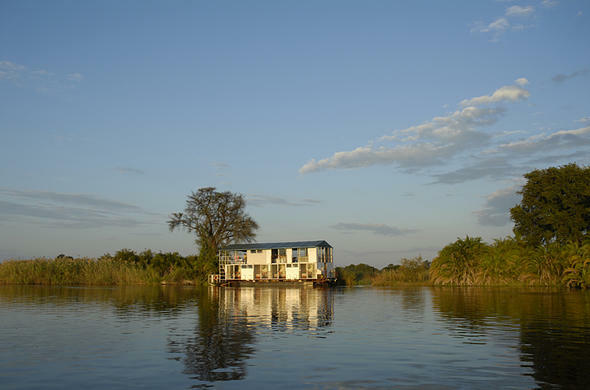 Our river-boat safari tours along the Okavango Panhandle invite you to enjoy a memorable and laid-back Botswana safari where you will stay in comfortable bush camps and aboard wonderfully tranquil houseboats. One of the main attractions in the Okavango Panhandle is fly-fishing, for Africa's greatest fighting species such as the sought-after Tiger Fish. Experience a pristine, natural environment with a great variety of bird species or take yourself on an unrivalled fishing expedition to catch that tiger fish that doesn't get away. 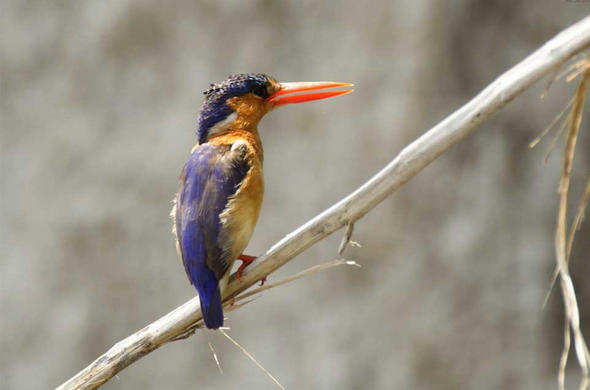 The Okavango Panhandle is also a birder's paradise with over 350 bird species, including African Skimmers and the Pel's Fishing Owl, making for a magnificent nature escape or photographic journey. Your San Bushman guide at Tsodilo Hills. While in the Panhandle, you can visit Botswana's world heritage site, the Tsodilo Hills, also known as 'Mountain of the Gods', boasting more than 3500 paintings and forming one of the most historically significant rock art sites in the world. Representing more than 25000 years of human habitation. Tiger Fishing from the Ngwesi River Boat The best time to catch Tiger Fish is during the annual catfish run, which varies from year to year but typically starts late August until the beginning of November.